The Asian Poker Tour or APT for short was founded back in 2008 and has been growing from strength to strength ever since. To date, there have been more than 80 major APT events and lots of smaller tournaments in the Asia-Pacific region too. 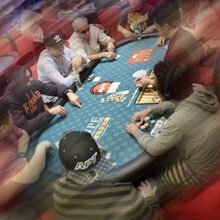 This highly respected poker tournament has stopped at the Philippines, Macau, South Korea, Cambodia, Vietnam, India, Australia, London, and more and has generated over $30 million in prize money for poker players. It brings a world-class poker experience to Asia and is one of the most highly anticipated events by poker players around the world. Our website is filled with all the information you need to know and each of the section headings will lead you to more valuable information. Whether you're a fan or a player, you'll want to know about the different APT events that are coming up. In our events section, you'll find all the information you need on live events and where you can watch them online, as well where the next stop of the tour is. We bring you everything you need to know including tournament news, prize pools, and how you can get involved. The full calendar of Asian Poker Tour events is listed so you'll always know when and where the next tournament will be played. All the rules can be found on our APT Rules page. If you plan on taking part in the Asian Poker Tournament then you need to know how to play Texas Hold'em Poker. There are a number of rules to this poker game and our poker rules page explains them all in detail. This is the most popular online poker game and it is advised that all players become familiar with the glossary of terms used before they begin. Certain terms are essential for playing and these include blinds, button, check, flop, fourth street, All-in, River, Preflop, showdown, and turn. On the rules page, you will find information on all the topics listed below. There are lots of online satellites for the Asian Poker Tour. A satellite tournament in poker is a qualifying event and winners of the APT online satellites usually win the buy-in fee or a seat to one of the APT events. There are a number of great sponsors for online satellites for the Asian Poker Tour and many of these sponsors offer up to 10 seats and packages to the APT main events. Satellite tournaments are a huge part of the online poker scene and many of the big name poker players have built up their careers from satellite tournaments. Satellite tournaments will often have small buy-ins and they give out entries to larger events rather than cash prizes. You can find out all about the different online satellites for the Asian Poker Tour by checking out our online poker satellites page. To get the most out of your online poker experience, you need to play at one of the best online poker rooms. This is where we can help. Our expert rating and in-depth review will help you find the best poker sites to play at. We list the best sign up bonus offers and show you where to find the best freerolls too. Our reviews tell you about all the important factors that you end to consider before opening an account as well as the types of poker you can play, banking options, tournaments, bonuses, software, and more. Be sure to take a look at our recommended sites if you want to play poker online and be sure to check our satellite tournament information too if you want to win a seat at the Asian Poker Tour. Our frequently asked questions page answers all the commonly asked questions about the Asian Poker Tour and APT events. You'll find the answers to question such as those listed below and if there is something you can't find we are always happy to help too. What is the Asian Poker Tour? When and where are the APT events taking place? What is the structure for the APT events? What poker game will be played in the Asian Poker Tour events? What is the buy-in for the APT main events? Can I play if I don't sign the agreement?